Recently I was in the veggie garden REPLANTING it since all the rain decimated it the first time. I started by hacking out all the grass that was choking my veggie beds by growing very well, thank you. Then when I had finally once again cleared the beds, with renewed hope I replanted my veggie seeds. Now I know that the grass will make a run for it again. So I’ll need to keep the garden hoe handy to keep that dang grass at bay so it doesn’t get out of hand. But I don’t want to damage the area where my veggie seed is securely tucked away. How will I know where my seed or tiny seedling is planted? 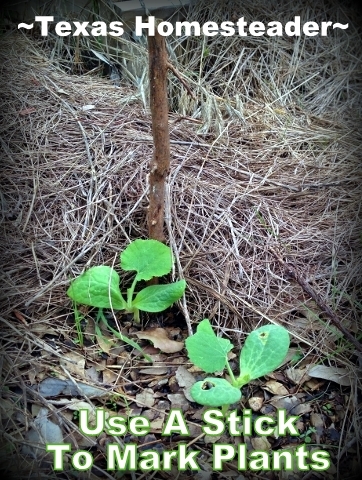 I don’t want to accidentally damage or destroy it while maintaining the garden. I’m starting a new feature called Homestead Hack where I share ideas-on-the-fly that are helpful around the ranch. Here’s my Homestead Hack for today! I know the grass in my veggie garden raised beds will need to be dealt with well before this little seed is able to break ground and survive. To give me indication of where I planted those seeds I looked around at what I had available. Low & behold the answer was before me! I took a stick and broke it into sections of about a foot. Then I stuck a section into the ground just above where each of my seeds (or seedlings) were planted. Use what you’ve got is what I always say! So there ya go, a helpful Homestead Hack that you can use in your garden too! 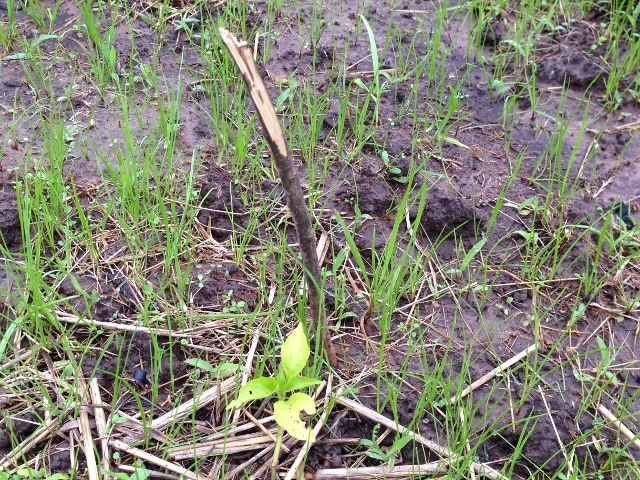 It helps to mark the area you’ve planted so that your little plant stands a fighting chance. 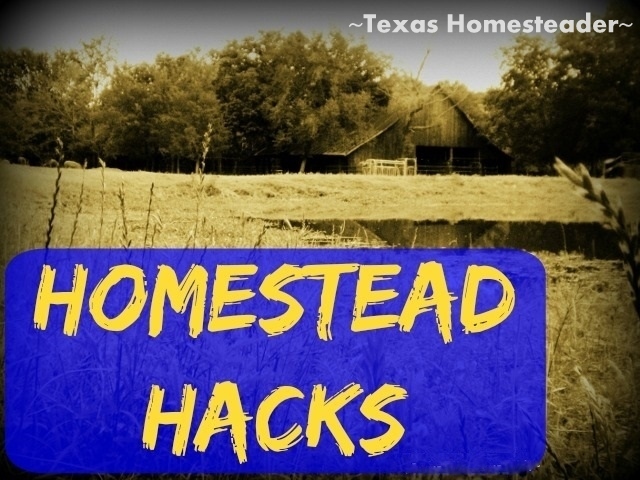 But using this homestead hack there’s nothing to buy so it’s good for your budget. And you don’t get any more all-natural than Mother Nature’s own. Use what you’ve got! 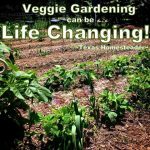 How Vegetable Gardening Can Change Your Life! This entry was posted in Blog Posts and tagged Environment, Frugality, Gardening, Homestead Hacks, Make-It-Yourself, Spring on May 27, 2015 by Texas Homesteader. This is a great idea! Thanks for posting. Hello from Farmgirl Friday blog hop. Thanks for sharing on My 2 Favorite Things on Thursday!! Hope to see you tomorrow! Pinned! What I great idea! I wish I would have done this before we got so much rain. Coming over from Farmgirl Friday! I do this all the time. And then I lose the sticks because I’m so dimwitted, I choose flimsy or near decomposed sticks because they are always what are closest to me when I’m looking!